The flight was the first commercial launch by the H-2A, which Japan typically uses to send up government satellites, and it debuted upgrades allowing the rocket’s upper stage to ignite three times in space. 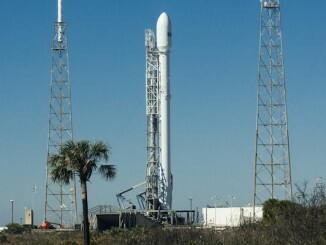 Owned by Telesat of Ottawa, Canada, the Telstar 12 Vantage satellite is beginning a 15-year mission to bridge the Atlantic Ocean with television broadcast coverage, and other communications services for government, corporate, airborne and maritime customers. The 174-foot-tall (53-meter) H-2A rocket lit its hydrogen-fueled LE-7A main engine, ran it through a computer health check, then fired four strap-on solid rocket boosters to power off the launch pad at Tanegashima Space Center at 0650 GMT (1:50 a.m. EST; 3:50 p.m. Japan Standard Time). Launch authorities held the countdown for 27 minutes to clear a boat out of a downrange hazard area offshore the rocket base, which sits on Tanegashima Island off the southern coast of Japan’s main islands. With the range clear, the H-2A rocket streaked into clear skies atop 2.5 million pounds of thrust, leaving a twisting exhaust trail in its wake. The launcher passed the speed of sound in less than a minute, and its four solid rocket boosters consumed their pre-packed propellants before jettisoning in two pairs just past the flight’s two-minute point. The aerodynamic shroud covering the Telstar 12 Vantage satellite released about four minutes after liftoff, and the H-2A’s cryogenic core stage shut down and separated from the rocket’s upper stage nearly seven minutes into the mission. The second stage, propelled by a LE-5B engine, ignited three times to deliver the Telstar 12 Vantage satellite to geostationary transfer orbit, an elliptical path around Earth that serves as a waypoint for spacecraft on the way to circular geostationary orbits nearly 36,000 kilometers — about 22,236 miles — in altitude. Tuesday’s launch was the first time an H-2A rocket needed to fire its upper stage engine three times before deploying a satellite. The extra engine firing, conducted 33,800 kilometers (21,000 miles) above South America, moved the satellite’s trajectory closer to the equator and raised the low point of its orbit. The Telstar 12 Vantage spacecraft flew free of the upper stage at 1117 GMT (6:17 a.m. EST), nearly four-and-a-half hours after launch, to complete the longest mission in the H-2A rocket’s 14-year history. The mission targeted an orbit with a high point of 35,586 kilometers (21,112 miles), a low point of 2,700 kilometers (1,677 miles) and an inclination of 20.1 degrees, closer to the ultimate positions of satellites like Telstar 12 Vantage than achievable on previous H-2A launches. 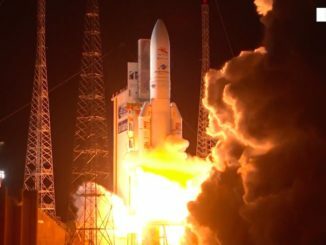 Such an orbit means the satellite does not have to burn as much of its own propellant to reach its final operating post, translating into longer lifetimes. 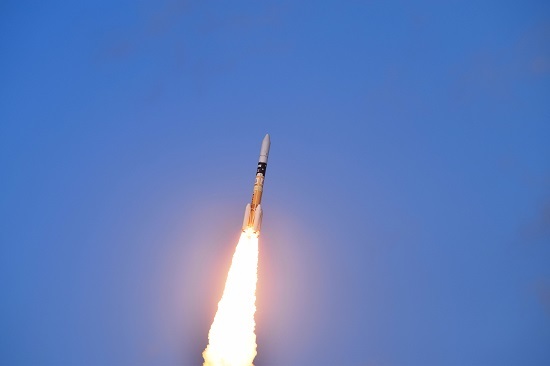 Mitsubishi Heavy Industries, the rocket’s builder and commercial operator, declared the mission a success in a post-launch press release, giving the H-2A its 28th success in 29 flights. 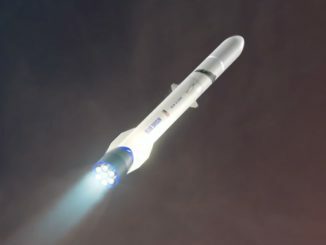 Japanese engineers modified the H-2A rocket’s upper stage for the flight, painting the outside of its liquid hydrogen tank white to improve thermal insulation, adding a lithium-ion battery to power the rocket through its long coast, and qualifying the LE-5B engine for lower throttle settings. The rocket also flew with extra thrusters to keep propellants from sloshing inside the upper stage’s tanks, and designers changed the LE-5B engine’s “chill-down” procedure, which runs super-cold liquid oxygen through the turbopump before ignition. The upgrades, funded by the Japan Aerospace Exploration Agency, cost about 9.2 billion yen ($75 million). Coupled with a weakening yen and initiatives to reduce the H-2A rocket’s launch costs, the new upper stage capabilities are aimed at luring more commercial customers for the Japanese booster. The Telstar 12 Vantage contract, awarded to MHI in 2013, marked the H-2A rocket’s first commercial launch deal for a dedicated flight. Before Tuesday’s launch, the H-2A carried several satellites for commercial and foreign clients, but they all flew as secondary payloads. Kyodo News reported the Telstar 12 Vantage launch contract was valued at about 12 billion yen, or $98 million. Made by Airbus Defense and Space, Telstar 12 Vantage will arrive in a circular geostationary orbit within a few weeks, eventually heading for a parking slot at 15 degrees west longitude. With a launch mass around 4.8 metric tons — about 10,582 pounds — the spacecraft will replace the Telstar 12 satellite launched in 1999. Telstar 12 Vantage carries more than 50 high-power amplifiers in Ku-band and Ka-band, and it will be positioned to reach from the Americas, across the Atlantic Ocean, to Europe, Africa and the Middle East. 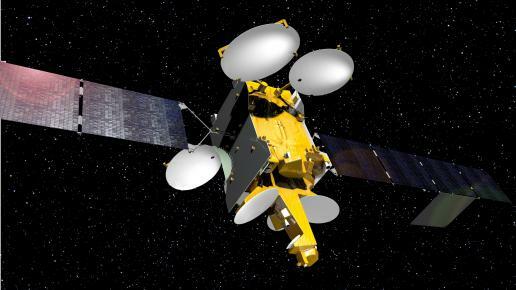 Among other missions, Telstar 12 Vantage is designed to meet growing communications demand from the aeronautical and maritime sectors, especially in the Caribbean Sea, the South Atlantic, the Mediterranean and the North Sea, according to Telesat.